There are many handy printers "Take instant printout with your iPhone with evolving polaroid technology" and "Say bye bye to printer cartridges use Pencil printer instead" which were unique and considered as future technologies. Well, today we will be reading about amazing design of 21st century printer. You may be wondering what's special with this printer ? In simple words, its name will give you the answer. 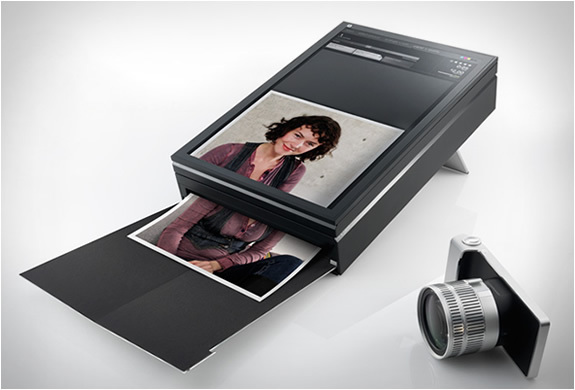 "See What You Print" in short SWYP, is a smart and compact printer which is still under development.Very few printers provide an option of editing photos before printing. Is it a easy task to edit your images ? I dont think so. You may end up taking unwanted printouts. SWYP is radically simple and provides exactly the simple ways to edit using touch screen mechanism. It makes you to edit and format the print without wasting any unwanted prints. Margins and scaling can be easily previewed and edited on the touch-screen before printing. Just like you would do with the real paper.Color results become predictable with a screen that is always calibrated to the printer.Unwanted print areas are easily spotted and can be removed by simply ‘swyping’ it off the screen. Printing from a camera becomes straightforward even without a computer. 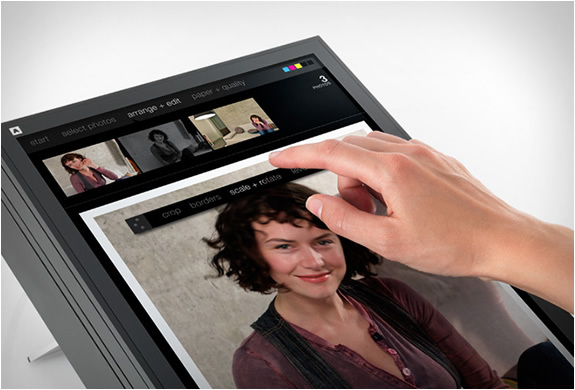 The camera connects wirelessly to the printer and images can be selected, arranged and lightly edited in seconds.You can personalize settings the start screen and create a network of personal devices or online sources for direct printing. You can directly connect to Facebook photo stream and Flickr to print photos. Paper tray is designed to be very simple and smart.The paper tray with its fabric covered inside relies on the fabric’s material properties to create a hinge. It folds to stow neatly on top of the printer. When you unfold it, its geometry is such that it becomes a rigid tray. Reminiscent of origami, it is minimal and elegant, yet exciting and approachable. Selecting the ink icon lets the interface fade away and reveals the inside of the printer with ink level and inserted paper type information augmented on top of it. No on/off button: the act of opening or closing the paper tray turns the printer on or off. As the name suggests, you can see exactly what you are printing using SWYP. Check out this video for more details.